Instead of going out to your local retail shop to buy something new to update your homes decor – save yourself some money and shop your home instead. Often we overlook new uses for items we already own or we unintentionally label furnishings for use in one room only. By moving items around to different rooms you may find a better place for them – one with more impact that will make your home feel and look modern and fresh – all without spending any money. 1. 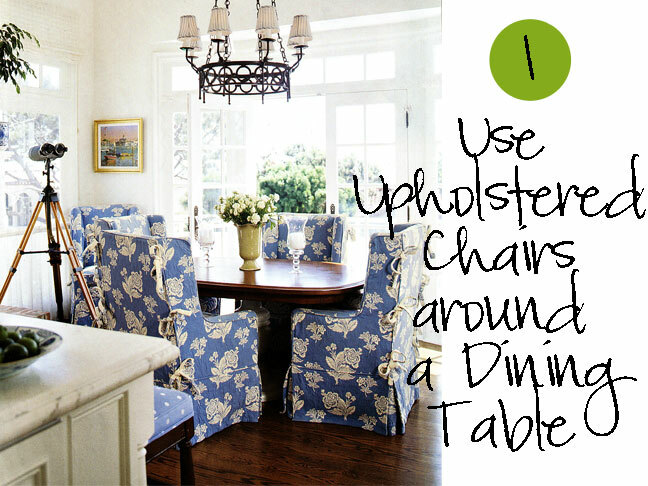 Move 2 or more wing or upholstered chairs from a barely used living room to the dining area. 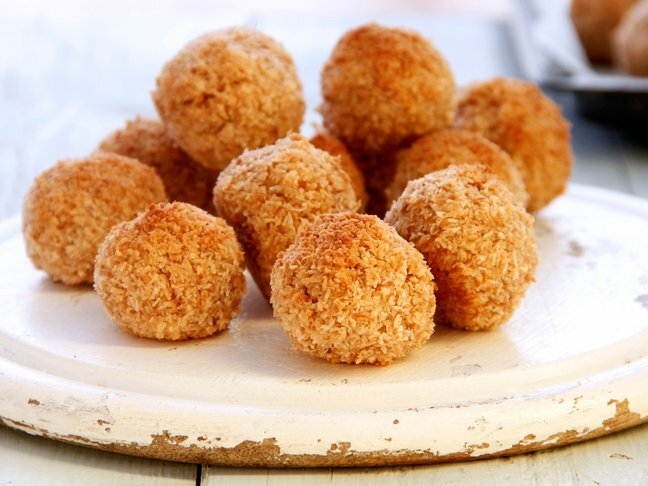 If you have two – place one at each end of the table. 3. Bedroom looking boring? Create a large frame using 1 x 2’s or 2x 4’s from your local lumber store. Nail or screw the corner joints together. 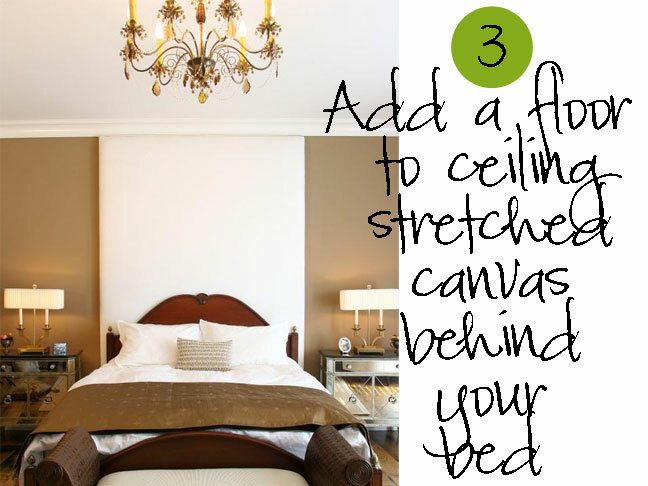 Wrap a large drop cloth, piece of fabric, or flat sheet over the frame. Keep fabric taut and staple to the back of the frame. Hang on wall the as you would a picture or if it is very large – place a long screw through each side of the frame and into the wall. 4. 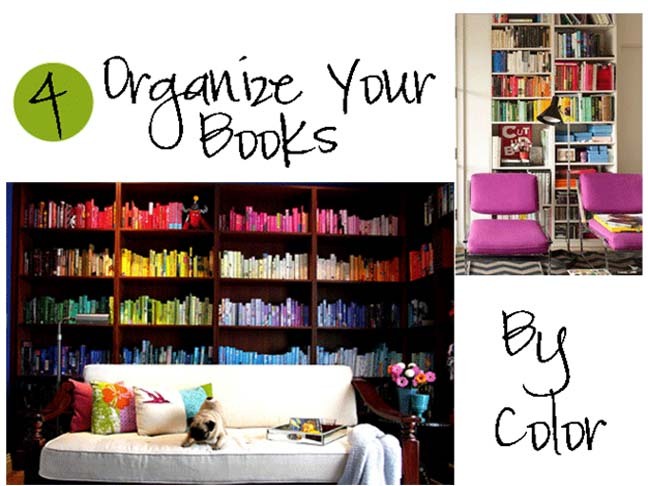 Arrange your books by color = Instant Impact! 5. 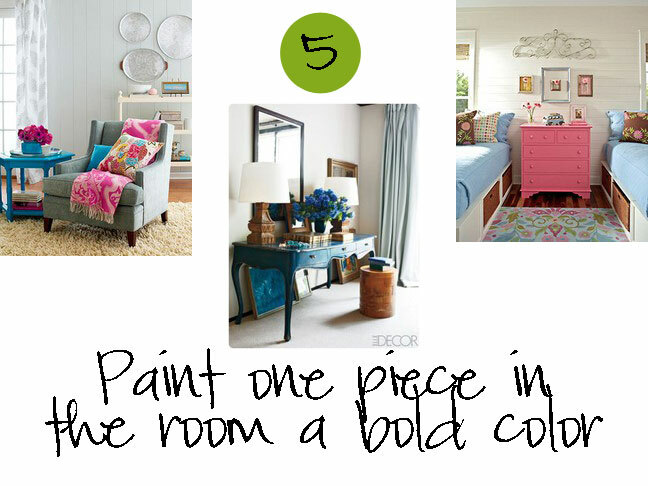 Paint one piece of furniture in a room a bright color. 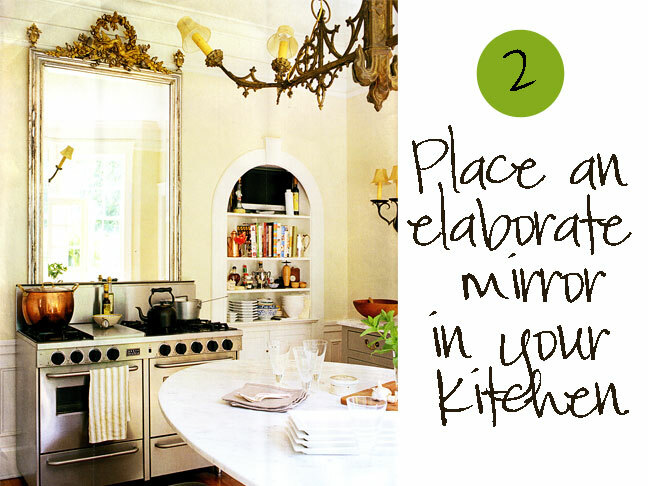 It will become the focal point and adds a modern update to a tired looking room.